Humphrey is Big Bertie’s little brother! He arrived at our sanctuary at 9 months old, in May 2018, from Hamerton Stud; a special breeding-programme for the conservation of the rare Baudet de Poitou donkey breed. We were delighted when we were asked to be Humphrey's guardians and it is an honour to have him as part of our sanctuary family! 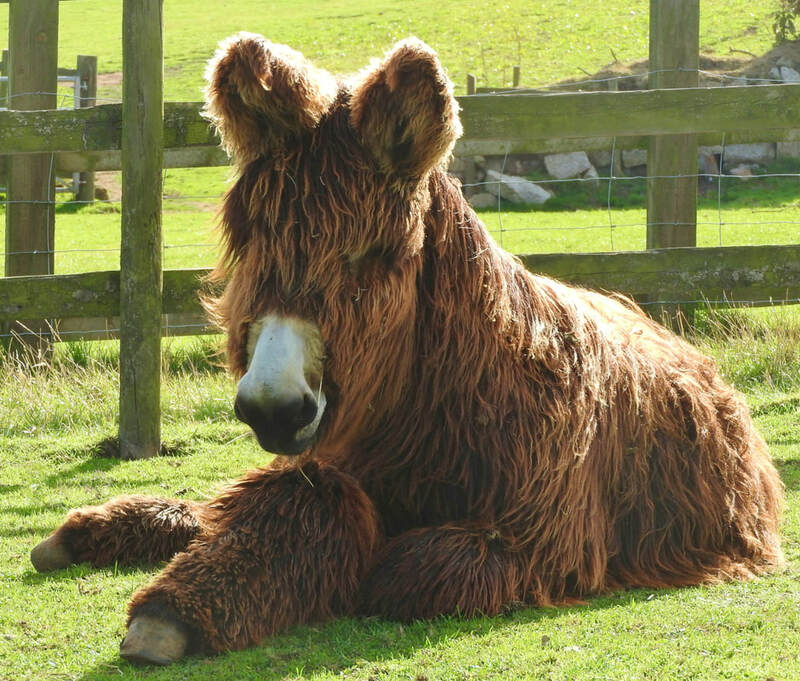 He is loved by people and donkeys alike and is just a wonderful ambassador for his unique, special breed.